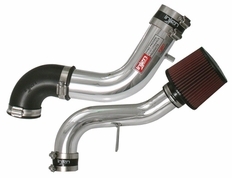 2001-2003 Madza Protege5, MP3 Injen Cold Air Intake5justin mattsonJune 9, 2009Very easy install, great look, notieable hp gain, best of all there has actually been mpg increase. Its already paid for itself in my book! The part number on this item is RD6060P (or RD6060BLK) and it fits 2001-2003 Madza Protege 5, MP3 models.